Perhaps the most incredible aspect of the greatest Wall Street swindle ever was that despite repeated warnings from many different sources the Securities and Exchange Commission (SEC) over a period of 16 years refused to conduct a diligent probe into the operations of fraudster securities broker Bernard Madoff. The “watchdog” Federal agency, which didn’t bark or bite, not only disregarded the repeated warnings of knowledgeable whistle-blower Harry Markopolos, a fund manager, as well as the two examiners in its own Boston office who said that Markopolos likely had it right; the SEC also disregarded reports in Barron’s and other financial publications that questioned Madoff’s legitimacy; and, perhaps most damning of all, the SEC disregarded letters from an obvious insider who revealed that Madoff was keeping two sets of books and told the SEC to find the evidence on a computer Madoff always carried on his person. Even when, toward the end of Madoff’s Ponzi scheme charade, the SEC discovered Madoff was lying to them, SEC officials didn’t care to ask the elementary questions that would have revealed he was not trading stocks at all. Incredibly, Madoff had also been lying to his investors for years, saying that he was turning a profit on the funds they gave him when he was actually paying them “profits” with monies from new depositors. On one occasion, the Assistant Director of SEC’s Office of Compliance Inspections and Examination(OCIE) asked a financial institution that Madoff claimed he used to clear his trades whether they knew of any trading done by or in behalf of Madoff during a specific time period. Despite a negative reply, the SEC official decided it did not merit any follow-up. 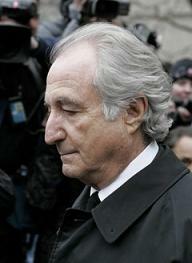 Madoff’s career of fraud, which Federal investigators believe may have started in the 1980s, did not collapse until 2008. Besides Markopolos, there were “plenty of others on Wall Street who went to the SEC, some anonymously or who used their names, so they had more than one warning,” says Erin Arvedlund, the reporter who broke the first Barron’s story in 2000. One inescapable conclusion of the Madoff disaster was that the SEC didn’t know and likely didn’t want to know he was running a Ponzi scheme. In 2006, for example, Madoff actually gave the SEC the number of his Depository Trust Account(DTC 646), yet its probers declined to make the phone call to this record-keeping entity that would have revealed Madoff’s claims of stock trading were a tissue of lies. The call would have revealed Madoff had only $18 million in his DTC account although Fairfield Greenwich feeder fund said he was handling $2.5 billion worth of their business. The SEC might also have checked with the National Association of Securities Dealers(NASD) to see if the stocks Madoff claimed to be trading were, in fact, actually being traded by him on the NASDAQ stock market. But Arvedlund said the SEC decided “this would have been too time-consuming for us to go through these records” so the records were never requested. Its reluctance may have had something to do with the fact that Madoff played a key role in NASDAQ’s formation. When Madoff founded his firm in 1960, he made trades using the National Quotation Bureau’s Pink Sheets. In order to compete with firms that were New York Stock Exchange members trading directly on the floor, according to Wikipedia, Madoff began using innovative computer information technology to disseminate its quotes—a development that led to the creation of NASDAQ, which swindler Madoff served as Chairman during 1990-91 and in 1993. The SEC compounded its own malfeasance by issuing a report in 1992 saying that it found Madoff’s operations to be on the up-and-up, a finding it publicized only for this favored entity—in short, a veritable endorsement that brought investors flocking to “the lipstick building” (nicknamed for the skyscraper’s shape and color) at 885 Third Avenue in New York that was the headquarters of Bernard L. Madoff Investment Securities LLC, only to be systematically parted from their money. Arvedlund said, “He used the SEC’s Good Housekeeping seal to market the fund. And I’ve talked to a lot of investors who said, ‘I knew he’d been investigated and received a clean bill of health from the SEC, and that’s why I gave them my money.’” These included Elie Wiesel, the Nobel Peace Prize laureate, who invested on behalf of a charity and Hollywood director Steven Spielberg, who invested for the Wunderkinder Foundation. Other notables taken in were real estate mogul Mortimer Zuckerman; Philadelphia Eagles owner Norman Braman, New York Mets owner Fred Wilpon, and legendary Brooklyn Dodgers pitching great Sandy Koufax. In its 1992 investigation, the SEC learned that New York accounting firm Avellino & Bienes had been raising money from clients and turning it over to Madoff to invest. The SEC ordered the funds returned to the clients and never inquired where Avellino & Bienes got the funds to do so. The SEC may have overlooked Madoff’s role as it regarded him as something of a hero for his role in developing NASDAQ in competition with the New York Stock Exchange. It even used him in an advisory capacity. The Times pointed out that Madoff’s guilty plea was crafted to shield his wife, Ruth, who had amassed $65 million worth of assets she claimed were her own, his brother, Peter, and his sons Mark and Andrew, all of whom denied any knowledge of the fraud. Mrs. Madoff was later required to forfeit all but $2.5 million of her assets. “As a result, those who thought his guilty plea would shed more light on Wall Street’s biggest and longest fraud left the courtroom unsatisfied and uncertain—about where their money had gone and who may have helped Mr. Madoff to steal it. Indeed, the hearing made clear that Mr. Madoff is refusing to help the government build a case against anyone else,” the Times observed. Although no individual reportedly wrote Judge Chin a letter to mitigate his sentence by relating any good works Madoff performed in his life, the fraudster might not have been entirely unloved. He may have been the illicit love child of the Internal Revenue Service(IRS) which in June, 2004, oddly approved him as a nonbank custodian of investor funds “even though he was in gross violation of the IRS’s own regulations,” according to Lawrence Velvel, dean of the Massachusetts School of Law at Andover and a former Justice Department attorney. Velvel raises the possibility that Madoff was favored by the IRS because it collected “billions” of tax dollars on “profits” from investors he swindled when those profits were all lies. Arvedlund said the $65 billion Madoff claimed to have taken in was not the real number, which may have been closer to $20 billion, but investors paid taxes on the invented $45 billion as well, “so the IRS was actually a big winner in the Madoff case.” Velvel, who lost funds of his own invested with Madoff, interviewed reporter Arvedlund twice on his Comcast TV show “Books of Our Time,” first on her book “Too Good to be True: The Rise and Fall of Bernie Madoff,” and again after publication of the SEC Inspector General’s 457-page report on Madoff. Arvedlund said SEC Inspector General David Kotz did “a very thorough job” and “for the most part didn’t pull any punches” in his report, which she termed a “very painstaking” examination of “how the agency screwed up.” She said the commission “was not used to going to independent third parties for information” but instead went to the source and trusted that person to tell the truth. The result, she explained: “Madoff was feeding them lies for years and they just didn’t double check.” They caught Madoff lying when he told them he stopped trading options years ago but they found sales literature from one of the big Madoff feeder funds that said he was trading “Standard & Poor 100” options. “Why didn’t that bother them enough to probe a little further?” Arvedlund asked. Arvedlund said the SEC never tumbled to the fact that Madoff had two major bank accounts, one for his legitimate brokerage firm with the Bank of New York, the other with JP Morgan Chase(JPMC). This was on the phony hedge fund side, basically his “slush fund” into which he’d have new investors write checks and out of which he paid old investors, “so there was no trading ever taking place.” Yet, Arvedlund says, the examiner sent by the SEC “had no idea how the cash flows worked” and to conceal her own ignorance “didn’t ask the right questions.” If Madoff had been buying and selling stocks and stock options there would have to be wire transfers or checks in an out of the JP Morgan Chase account going to other financial houses. Arvedlund says JPMC is being sued because by 2008 it “should have had a very good idea that Madoff was not all that he seemed to be.” That bank, she said, “had a view of both sides of the House of Madoff” because in 2008 it had taken over Bear Stearns, which had a long trading relationship with Madoff. And when JPMC started asking around, “How does Madoff do it?” Bear Stearns employees replied they had no idea. “Meanwhile, over on the banking side,” Arvedlund said, JPMC “has the old Chase bank account, and they see that in ’08 the bank account’s starting to dwindle to zero, and according to one lawsuit, they pulled their money out before Madoff confessed.” By not blowing the whistle revealing the suspicions they should have had, Velvel pointed out, JPMC “permitted the fraud to continue for many years.” He noted “about $12 billion” got pulled out in the last six months as the market was collapsing and Madoff’s clients were demanding their money to pay off other people. Indeed, the reason Madoff’s Ponzi scheme collapsed was because his fund simply ran out of money. Madoff was arrested on Dec. 11, 2008; pleaded guilty in March, 2009; and was sentenced in June of that year. His firm was in liquidation as of Dec. 15, 2008. According to newspaper accounts, Madoff was beaten up in the Federal prison in Butner, N.C., last December, and sustained a broken nose and fractured ribs at the hands of an inmate judo expert. The man did so, he claimed, because Madoff owed him money.